Wallaby has three great features. 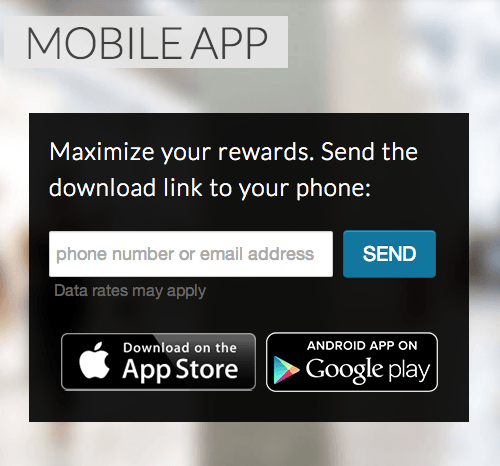 The Wallaby app keeps track of the rewards your credit cards earn. 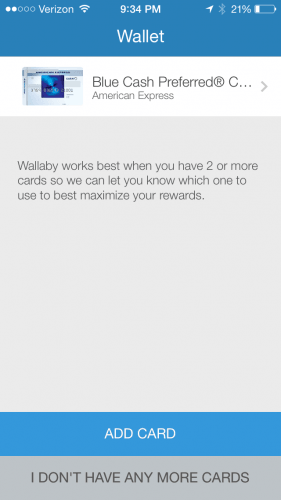 So, if you walk into a store and don’t know which card to use Wallaby will have the answer! 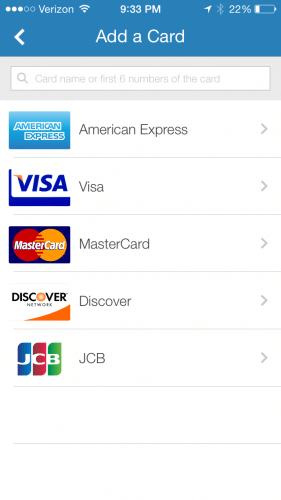 Wallaby Boost recommends credit cards to sign-up for based on the current cards in your wallet. Finally, the Wallaby card is similar to Coin (Disclaimer: That is a referral link. Thank you for your support! ), since they both are aiming to combine all of your credit cards into one easy to use card. Neither of these all-in-one cards are on the market yet, so it’s hard to say how well they will work. 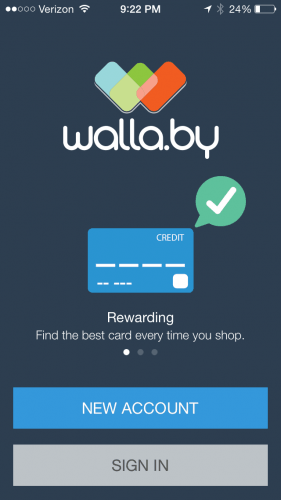 Wallaby is free and offers you a very easy way to remember the rewards your credit cards earn. I use the Wallaby app everywhere I go, so I can be sure I am maximizing my reward points and miles. It also works great for my wife, since she doesn’t have any idea which credit card earns which reward. All she has to do is open the Wallaby app and check which card to use. Another reason to use Wallaby is Wallaby Boost. Wallaby Boost provides a great way to plan your next credit card churn. Go to Walla.by and send the download link to your phone. You could alternatively go to the App Store or Google Play and download it there. Now open the app and select “New Account”. Enter your information and login. To start you will want to add at least on card. I will add my American Express Blue Cash Preferred. You now have the option to add another card or continue with only one card added. I would suggest adding all of your cards to Wallaby now, so you don’t have to worry about it later. Also, if you click on the card details you can see the rewards that each of your cards offer. Now that you have at least a few credit cards registered to Wallaby, you can choose to connect your cards to their respective banks as well. If you do, it will give you more features in the Dashboard section of the app. For instance, if you connect your banks you can view your credit utilization, spending habits, and rewards earned/missed. This information may not matter to you, however I find it useful to see my credit utilization in this app. Places: This is the best part about the app. Places is where you can search for a store and Wallaby will tell you which of your cards will get you the most rewards. Dashboard: This is what I talked about in the previous paragraph. You can view the rewards you have earned and missed, your total credit utilization, and your spending habits. However, this is only viewable if you link your bank accounts to Wallaby. Wallet: Wallet shows all the credit cards you have registered to Wallaby. What’s great is that you can register yours and your spouse’s cards to Wallaby and they will display in your Wallet. My Banks: This is where it shows what banks you have linked to Wallaby. You also can add more banks to Wallaby in this section. Wallaby Card: You can sign-up to be notified when the Wallaby card is available. Settings: This is of course where you can edit your login information and get help with the app. If you go to a store, the main section you will want to use is Places. For example, let’s say I went to Meijer. I would grab my phone and navigate to the Places section. 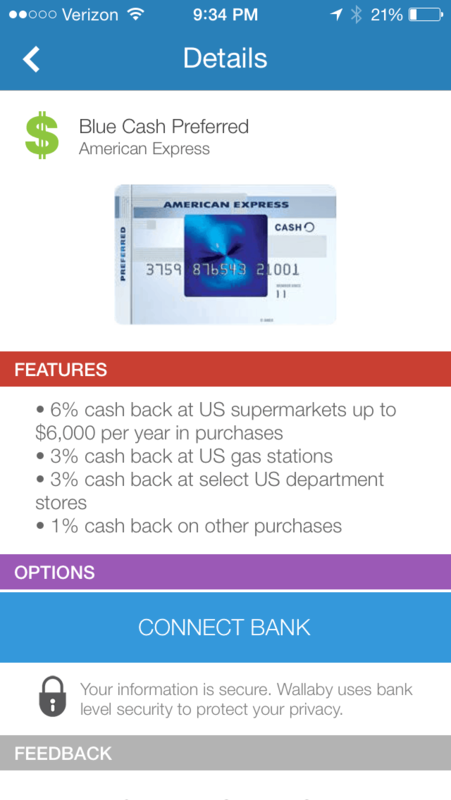 As you will see below Wallaby suggests I use my American Express Blue Cash Preferred since it gets 6% cash back at grocery stores. It’s that easy! Wallaby has partnered with ThePointsGuy to create the TPG Maximizer, which is similar to Wallaby Boost, since they both suggest credit cards for you to sign-up for. I think the TPG Maximizer has great potential, however it is definitely a beta product. When I tested it out, my suggested card was one I already had in my wallet on the app. You should definitely give Wallaby a try even if you think you know what rewards all of your cards give. 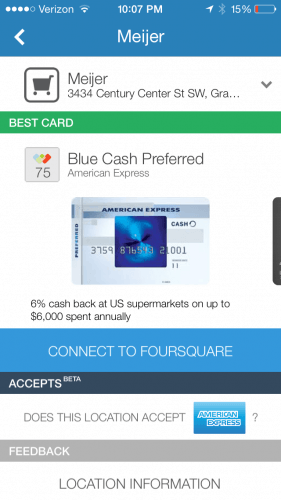 It is very easy to forget one or two rewards a card offers, so it never hurts to have an app that will remind you. If you think Wallaby is suggesting the wrong card to use, send Wallaby a message, They will look into the error and fix it. I did this and got a free shirt out of the deal!